Fall…It’s a season of costumes, candy, and little kids shouting “Trick or treat!” Scary houses designed to cause a fright. For the past several years we’ve chosen to leave the haunting behind and instead participate in our church’s “Trunk or treats!” We have a blast ministering to our community by being the light in what is traditionally a very dark evening. After all, there’s nothing fun about eerie feelings of doom. Especially, the haunting of our past that carry over to haunt us in the present. 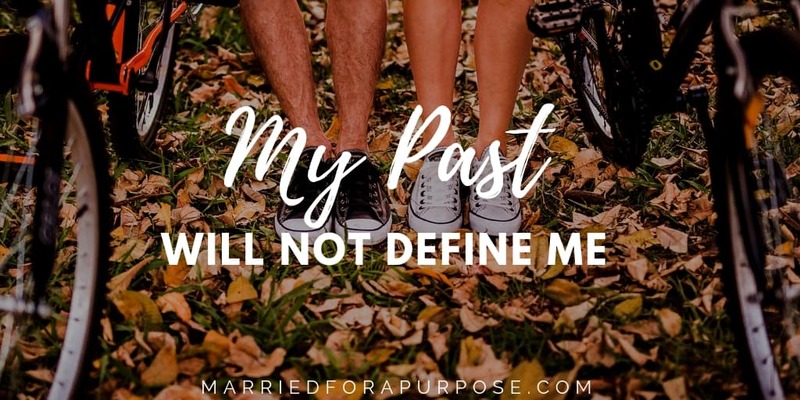 For us, the offenses we thought we had let go of and the painful memories from our childhood did just that … our past haunts crept over into our marriage. We tried to let go of it’s darkness, but it always seemed to creep in and consume us. We saw one another’s efforts through a distorted lens, and failed to believe the best in each other. Trust us … there was nothing fun about it! How about you? Do you ever struggle to believe the best about your spouse? Have past wrongs left you skeptical or cynical? Has your own past crept in to haunt your marriage? For us, walking in freedom didn’t come natural and letting go certainly didn’t happen immediately, but over time, we rooted ourselves in love and shifted our FOCUS to claim our freedom, together! As we meditated on what was right, true, and of a good report, we let go of our haunting memories and moved forward to welcome GOD’S most precious treat, LIFE! God invites each one of us to set our minds on things above, and find freedom by focusing on His amazing plan for our lives and marriage. To claim our future, we need to let go of our past pains, and spend our days dreaming forward to the life God intended us to experience with our spouse. Look past hardships and instead look FORWARD and UPWARD to live God’s design. We gravitate towards what we contemplate. Take inventory of your thoughts today. What is your focus? Are you focused on past pains or God’s purpose? Do you see your spouse through a lens of your pain or a lens of God’s grace? Father, infuse us with your strength to let go of the past, and focus on our marriage purpose. Help us to believe the best about one another. Remove all the old, dirty filters and replace them with a filter of your grace and love. In Jesus’ name, Amen. 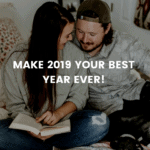 Sign Up to Receive Updates on our November 25th FREE live call to Make 2019 Your Best Year Yet!